What a fun way to start the year. 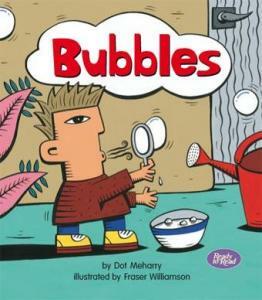 We read a shared book about bubbles. Then we read it by our selves. We got some bubble mixture and went outside with Nga Ringa. We had lots of fun trying to catch the bubbles. Some went up very high. Some landed on us and POPPED! After this we went back to class and wrote about bubbles. What a fun day had by all.